10,000 miles/yr. Due at signing includes $3,999 capitalized cost reduction, $795 acquisition fee and first month’s lease payment of $569. No security deposit required. Excludes title, taxes, license, registration, and dealer fees. See dealer for details. Available only to qualified customers through Mercedes-Benz Financial Services through October 31, 2018. Not everyone will qualify. Advertised 36 months lease payment based on MSRP of $56,445 less the suggested dealer contribution resulting in a total gross capitalized cost of $54,216. Includes Destination Charge and Premium 1 Package. Excludes title, taxes, registration, license fees, insurance, dealer prep and additional options. Total monthly payments equal $20,484. Cash due at signing includes $3,999 capitalized cost reduction, $795 acquisition fee and first month’s lease payment of $569. No security deposit required. Total payments equal $25,278. At lease end, lessee pays for any amounts due under the lease, any official fees and taxes related to the scheduled termination, excess wear and use plus $0.25/mile over 30,000 miles, and $595 vehicle turn-in fee. Purchase option at lease end for $31,609 plus taxes (and any other fees and charges due under the applicable lease agreement) in example shown. Subject to credit approval. Specific vehicles are subject to availability and may have to be ordered. Since the redesign of the Mercedes-Benz E-Class sedan and wagon in 2017, and the coupe and convertible in 2018, the E-Class has been recognized as one of the most luxurious, safe, and technologically advanced vehicles on the road today, with everything from a finely-detailed interior to cutting-edge safety systems. The E 300 4MATIC® features a first-rate interior, with a standard cabin trim wrapped in your choice of Brown Ash or Burl Walnut wood, and seating comfort that leans slightly on the firmer side and is ideal for both long or short trips. Road and wind noise is also suppressed without the driver feeling isolated. The design and coordination of all interior elements, including the materials and surfaces, upholstery, and infotainment integration, provide an experience only Mercedes-Benz knows how to create and deliver. 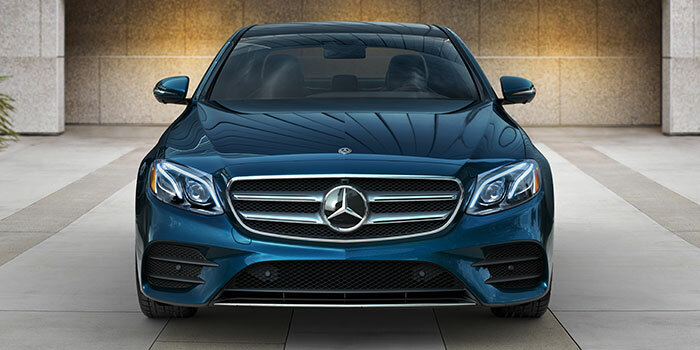 Standard with the E 300 4MATIC® is Mercedes-Benz advanced 4MATIC® all-wheel drive system. Working in conjunction with Mercedes-Benz ESP®® (Electronic Stability Control), the 4MATIC® system provides maximum effectiveness when turning corners and in slippery road conditions. The advanced electromechanical power steering delivers a quick response and easier maneuvering at low speeds, without leaving the driver feeling disconnected from the road. The 2018 E 300 4MATIC® offers excellent stability and vehicle control during any season of the year. Mercedes-Benz continues to be the global leader in vehicle safety. 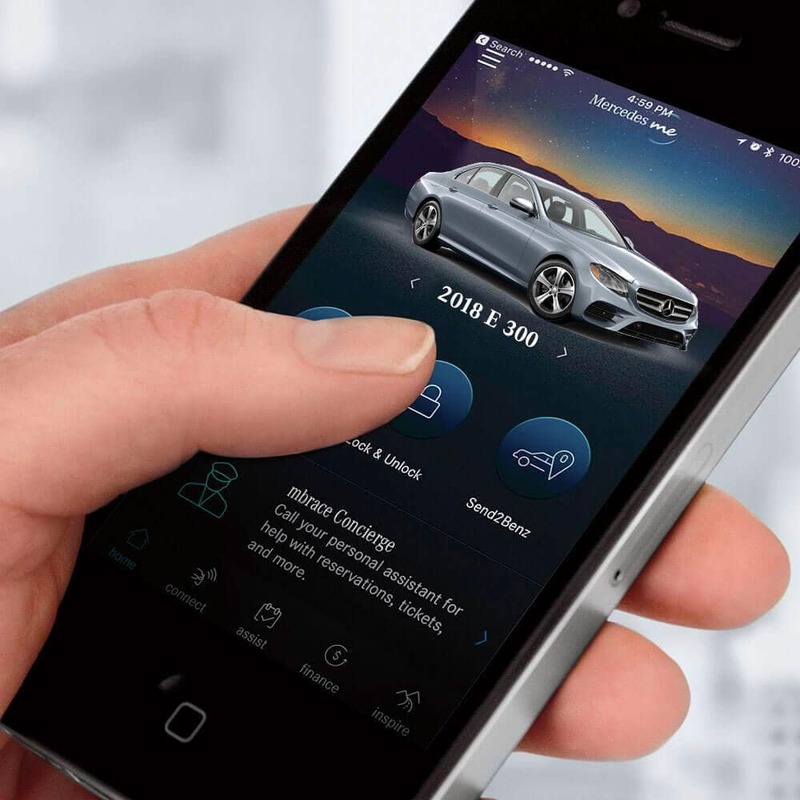 Standard safety features in the E 300 4MATIC® include Attention Assist® (a drowsy driver alert) and Crosswind Assist (an alert that helps detect the effects of strong side winds on handling stability at highway speeds). The vehicle also features Active Brake Assist, a radar-based technology that can alert you if you’re approaching a vehicle or certain stationary objects at a speed and distance that suggest an incident is likely. As soon as the brakes are engaged, it can automatically provide an appropriate level of braking to help prevent a collision or reduce its severity. Mercedes-Benz has always been at the forefront of vehicle safety systems, and the 2018 E 300 4MATIC® demonstrates it’s one of the safest vehicles on the road, designed to help you get yourself and the ones you love most safely there and back. Just fill up the form below, call us today to schedule a test drive for the new 2018 Mercedes-Benz E 300 4MATIC®, or just stop by for a visit anytime.